It's National S'mores Day. This is one of my favorite food holidays. With only three ingredients, s'mores can be surprisingly very versatile. 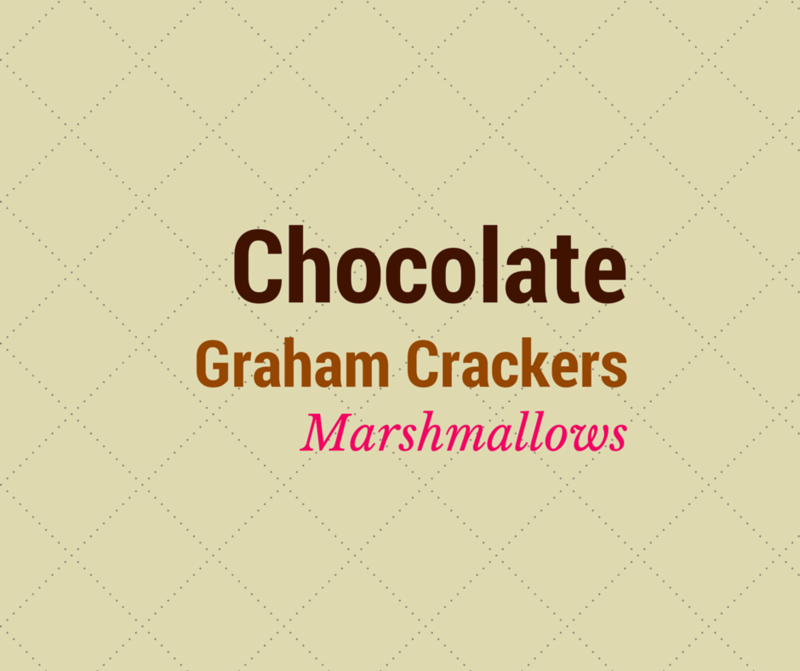 Graham crackers, a chocolate bar and marshmallow. S'mores are the perfect dessert sandwich. dessert. In fact, s'mores are classic and with the three great ingredients. they are the BLT of dessert. Today Girl Scouts is celebrating the holiday with a new cookie flavor. You can add peanut butter or fruit. You can make them fancy with homemade marshmallow and dark chocolate. 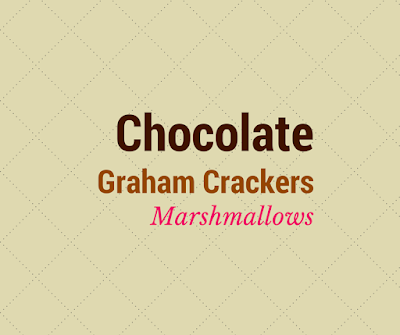 You can try substitute out graham crackers with other cookies. Anyway, I kinda made s'mores and banana pudding-inspired no bake dessert last weekend for brunch. Open up four of the banana moon pies. Slice horizontally like you would a bagel. Place them in a casserole dish. Lay down marshmallow side up. Chop the bananas into bites. Meanwhile, prepare a double boiler to make the chocolate syrup. Boil the water. Place the chocolate in a bowl that will fit over the boiler to melt the bar. Add the heavy cream to your taste. Stir. Remove from heat. Add a generous layer of bananas on top of the moon pie layer. Then pour the chocolate syrup over the bananas. Repeat the moon pie and bananas layers until you reach the top. 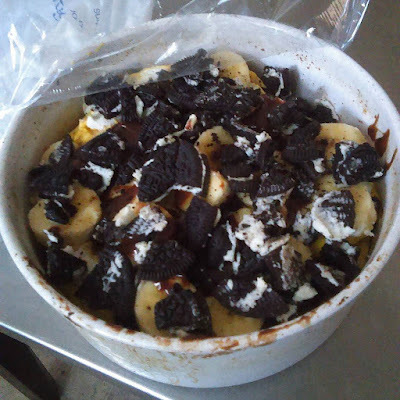 Then crumble up Oreos and sprinkle on top.